What’s our favorite birthday treat? Cupcakes that are oh so sweet! There’s just something about cupcakes that brings joy to a person’s heart and taste buds, which is why it’s one of our favorite birthday themes for stamping cards and scrapbook pages. 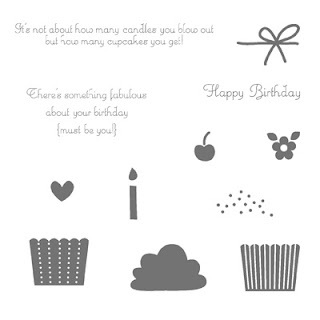 Our Create a Cupcake Set includes a variety of accessories for decorating cupcakes to adorn your projects, as well as a couple cheerful greetings in a font that’s as smooth and appealing as frosting. 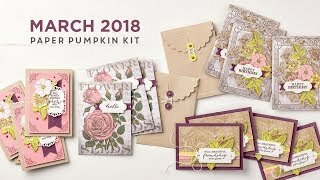 I'm happy to offer this set as the Free Set of the Month to one of my Online Customers! automatically earns you one entry into the drawing. 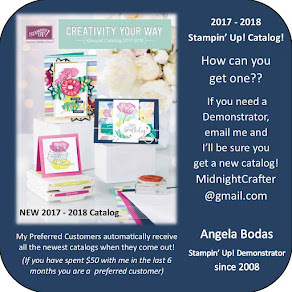 For more details visit my Win Free Stamps page.